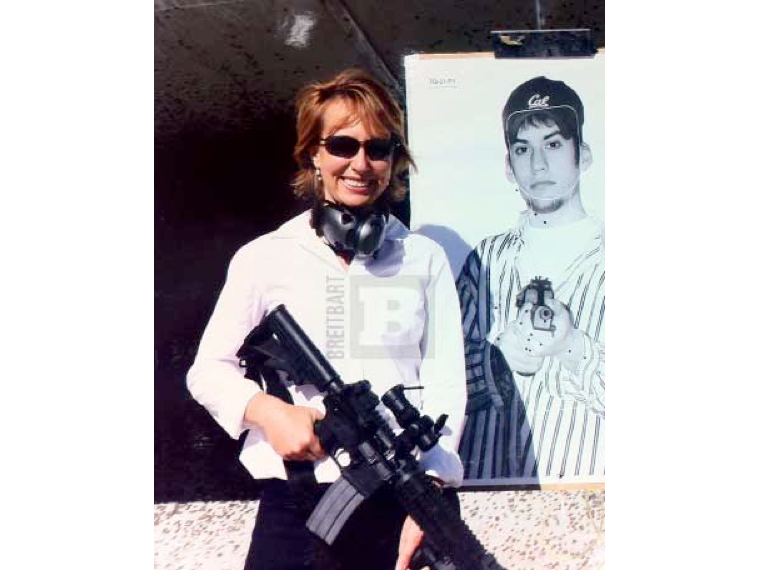 Husband of shooting victim Gabrielle Giffords, anti-gun opportunist, publicity hound, probable future political candidate. Mark Kelly, Mr. Gabrielle Giffords, buying an assault rifle. Delicious. No doubt hoping to ride the hot button issue surrounding his wife's tragedy to political office.